J.R: The Care Bears Advent Calendar app stars the lovable and friendly Care Bears and invites children to countdown to Christmas with all the sights, sounds and anticipation of the holiday. With wholesome themes and fun activities, the app is a great way for parents and grandparents to connect with children during the season. In the app, which begins on December 1, children can start the countdown by ‘unlocking’ activities like holiday-themed puzzles, videos, coloring pages and more, returning each day to unlock another activity to get them closer to December 25. 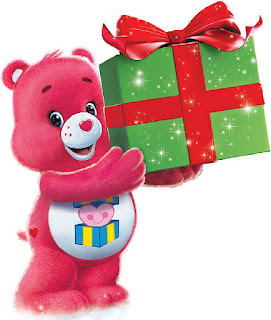 Kids can color with Tenderheart Bear, do a puzzle with Share Bear, wrap a gift with Cheer Bear and much more. And just like the traditional advent calendars, on December 25, the app gives users a sweet surprise with a full-length Care Bears video episode. When not visiting the Care Bears each day, the app also provides activities for kids. Children can design hundreds of snowflakes and create their own white Christmas with the Care-a-Lot Snowflake maker, decorate the Care Bears Christmas tree with special ornaments found within the app and enjoy other wintry fun activities. (Q) Can anyone download the app? J.R: The app is available now for download on iPad and can be found on iTunes for $2.99. There is also an app for PC and MAC desktops that can be found on the American Greetings website here. J.R: Earlier this month, we announced a fast moving, creative video campaign with the popular crowd sourcing digital platform, Tongal, with Strawberry Shortcake and Care Bears. This contest is a chance to create video content that will connect with people who already know and love our brands and attract a new audience as well. Tongal seemed like the perfect community to tap into with a big range of ideas and people who might already have an emotional attachment to our lovable characters. Tongal challenged its creative community to come up with fun and engaging videos that will celebrate each of the iconic '80s franchises. There will be three winners for each brand, with first-place video winners earning $15,000. J.R: There is a massive shift in the way kids consume content, and we have strategically positioned the Care Bears to be at the forefront of new media. We continue to focus on key collaborations and partnerships that allow a new generation of fans to discover Care Bears on the platforms that they want, and just announced that we're partnering with Netflix to create an exclusive new original Care Bears series called Care Bears and Cousins, expected to premiere in 2016. Our fans love the ease of streaming video and this partnership with Netflix will make it easy for our younger fans to connect with Care Bears on any device on demand. (Q) Care Bears have their very own Facebook, Twitter and Instagram pages, how do you engage fans on those pages? J.R: Care Bears and Strawberry Shortcake fans span from young kids and their parents, all the way up to grandparents who enjoyed these characters when their kids were young - and they are all super connected through Social Media. Whether it be through apps - we have more than a dozen - or on Facebook, Twitter, Instagram, Google +, YouTube or more, we have exciting and unique content to extend our brands everywhere and on every platform for our fans to engage with them! For more information, visit American Greetings today. Well, it is official, the holidays are here. As we grasp the realization that in a few days we will be celebrating Thanksgiving and before you know it, Christmas and the New Year, it has become a tradition to prepare a Tofurky Roast. In fact, one of my favorite things to make during the holidays is definitely this amazing Tofurky addition. So, how do you prepare a Tofurky Roast? First and foremost, it is very important that you remove the roast from the plastic casing before cooking. I also recommend thawing it out, as it makes it a lot easier to work with. Also, before cooking the Tofurky Roast it is important to preheat the oven for 350 degrees F. I love to just drizzle the entire roast with olive oil, as well as, salt & pepper. It is key to thaw the Tofurky Gravy, however, if it is mushy, just apply it all over the Tofurky Roast before baking it. Almost like a plaster of paris for food. Why? Because this will create a very flavorful yet natural crust. Before placing the Tofurky Roast inside of an aluminium foil or in glass casserole dish, you are going to want to add your vegetables, along with any type of homemade baste you want to create. To create the baste, all you really need are - carrots, onion, olive oil, fresh sage, and salt & pepper. You can also add various vegetables such as chopped carrots and onions to increase the flavor. 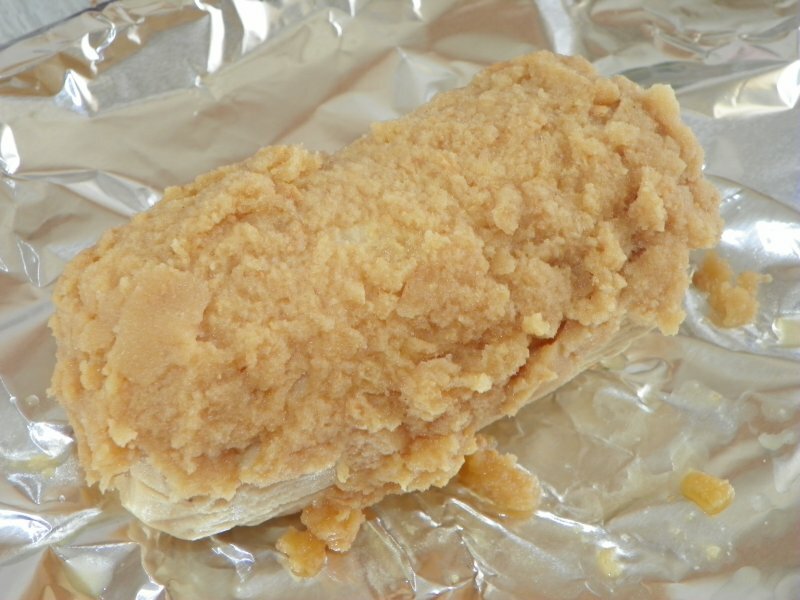 Cover the Tofurky Roast with aluminium foil or a dish cover. Cook for about 1 hour and 15 minutes. Check sporadically. Then cook for an additional 10-15 minutes uncovered. There is stuffing inside of the roast, however, you can make your own stuffing (or dressing) to compliment your dish using bread, butter (I love Earth Balance's vegan butter best), onion, celery, rosemary, parsley, thyme, and salt & pepper. If you want, you can actually prepare the stuffing while the Tofurky Roast is cooking, so than you can cook it with the Tofurky Roast. Even though there is stuffing (or dressing) inside of this amazing Tofurky addition, the homemade stuffing compliments the dish incredibly. If you are cooking it with other dishes, it is key to cook at least an hour to two hours prior to the last dish cooking, so it's ready in time. If you are eating with "meat-eaters" (this usually happens with me because my mother, stepfather, soon-to-be mother-in-law, sister, sister-in-law, etc. all eat meat) place the Tofurky Roast in the oven an hour before the actual main entree is done. When you serve the Tofurky Roast, it is very important to make sure it is cooked inside. 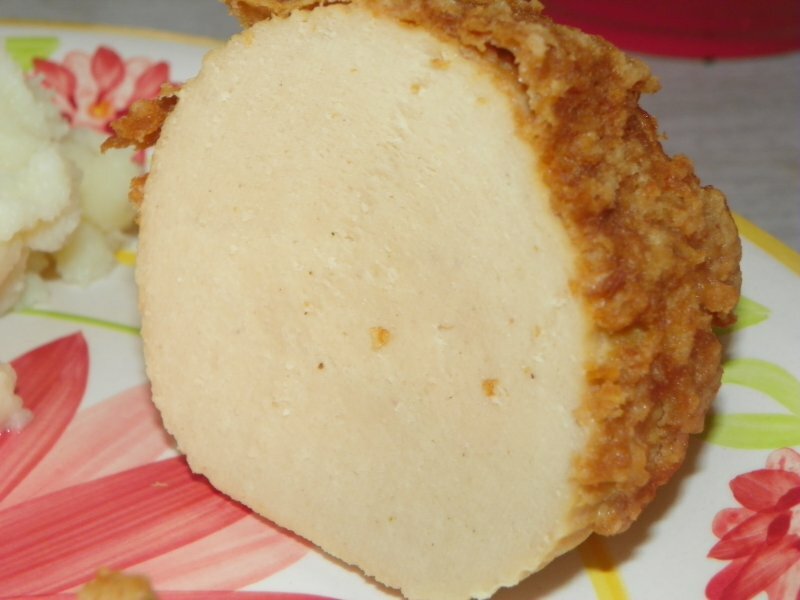 Although this is made from tofu, it is important that it is cooked all of the way through. As it sets, you can begin to serve when you start your meal. Happy Holidays! Well, it is official, Fall is here and this Thursday, Thanksgiving will magically appear. If you are uncertain what to serve to the vegetarian guests this year, you may want to consider Quorn's Chik'n Cutlets with Cranberry & Goat Cheese. I am not a fan of goat cheese all that much. In fact, if I had to choose my least favorite cheese, goat cheese would definitely be at the top. I have to admit though that I do enjoy it when paired with sweeter elements such vanilla, figs, apricots, pineapple, and cranberries. Yes, cranberries. In fact, when I first tried this amazing Quorn addition, I guess you could say that I found myself grabbing quite a few after I discovered how incredibly flavorful it actually was. The flavors in this entree simply work. You can cook this in the oven and/or microwave. Personally, I love the oven for this fantastic entree simply because the food is crunchier and still has that robust, acquired flavor which is great. If you are searching for a good vegetarian meal to enjoy or to serve this holiday season, you simply cannot go wrong with this one. As a lacto ovo vegetarian, I have discovered that eating a Thanksgiving meal is very much possible. Although there are many traditional dishes you can enjoy, there is more than just "sides" to a great meal. 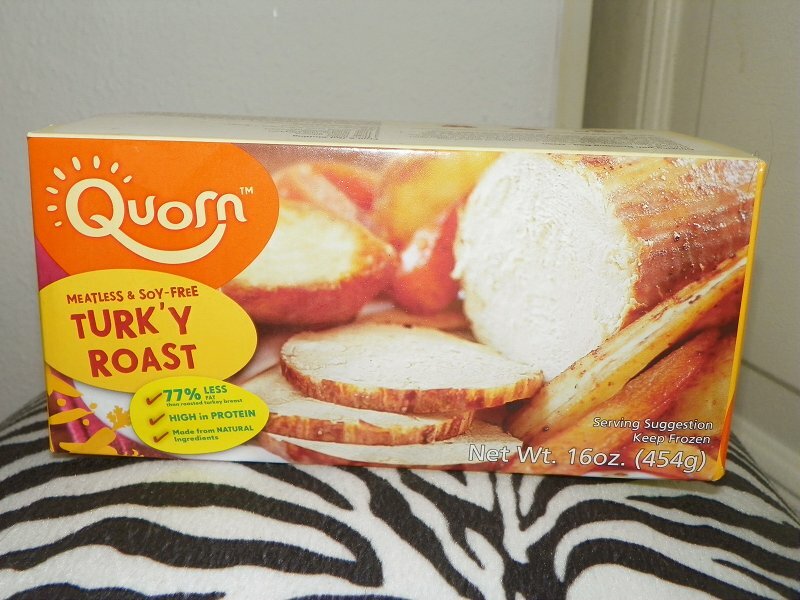 In fact, one of my favorite things to enjoy on the best time for giving thanks is definitely "Quorn's Meatless & Soy-Free Turk'y Roast" with "Tofurky's Savory Giblet Gravy". First and foremost, you want to begin thawing your Turky's Roast. Even if it's still frozen, the key is to allowing it to thaw as much as possible. Before placing the roast onto a baking sheet, you want to cover it with aluminum foil. Add a little extra virgin olive oil followed by some salt & pepper. Not many would think that freezing the actual gravy is a good idea, however; that is what I did when I prepared this particular vegetarian roast. In fact, I froze the gravy and then continued to let it thaw throughout the day until it turned into a paste-like gravy. You want to pre-heat the oven for 350 degrees. You want to cover the entire turk'y with the giblet gravy. Use as much gravy as you can to cover it. It's a little thick, so be it. Think of it as a project and you have to cover it up with plaster. Once you have accomplished this, you want to stick it into the oven. Cook for 30-40 minutes. Yay! It's done. Although it is going to be hot, you can cut into it. Just make sure not to serve it until you are ready to eat. Whether you are a vegetarian or simply choosing the vegetarian route this holiday season, you cannot go wrong with choosing this food idea. When it comes to the holidays and traveling, you can expect the unexpected, as traveling is something to expect, especially if you have family and friends who live far away. As a world traveler, I find myself interested in grabbing the best deals for the season and one of them I recently discovered is at CheapOair. -Save up to $20 on your next flight for Thanksgiving. Use code: TURKEY. -After November 30th until December 31st, use code: CHEAPAIR15 to save up to $15 off. -Round Trip Flights for Under $150. Whether you are heading home for the holidays or simply heading to a new destination, you may want to check out CheapOair for your next flight. Just click here to book your flight now. the best Christmas album of all time. I don't know about you, but Christmas is my most favorite time of the year. Everything from the decorations to the food and many more, including the music. Yes, the music. Because Christmas is my most favorite time of the year and because I love music, I have decided to countdown the many Christmas CDs put out by the numerous artists and bands to only the top 10 Christmas records. 9. Christmas by Ella Fitzgerald. Ella Fitzgerald is a jazz legend. I never get tired of hearing her naturally gifted vocals. The songs include: It Came Upon A Midnight Clear, O Holy Night, We Three Kings, Away In Manger, O Come All Ye Faithful, The First Noel, Hark! The Herald Angels Sing, Silent Night, Sleep My Little Jesus, and O Little Town Of Bethlehem. If you are looking for a great gift to give, give the gift of Christmas by Ella Fitzgerald. 8. Jingle Bell Rock by Brenda Lee. Christmas isn't complete without Brenda Lee. The songs include: Rockin' Around The Christmas Tree, This Time Of Year, Jingle Bell Rock, Strawberry Snow, Silver Bells, Winter Wonderland, Blue Christmas, A Marshmallow World, Christmas Will Just Be Another Lonely Day, and The Angel And The Little Blue Bell. Every time I go anywhere after Thanksgiving, I am always hearing Brenda's classic "Rockin Around The Christmas Tree" and to be honest, I never get tired of hearing it. 7. The Christmas Song by Nat King Cole. Nat King Cole is a legend in his own right. The songs include: The Christmas Song, Deck The Halls, Adestes Fideles, God Rest Ye Merry Gentlemen, O Tannebaum, O Little Town Of Bethlehem, I Saw Three Ships, O Holy Night, Hark! The Herald Angels Sing, A Cradle In Bethlehem, Away In A Manger, Joy To The World, The First Noel, Caroling Caroling, O Come All Ye Faithful, and Silent Night. "The Christmas Song" may have been covered by many artists and bands, but none of them touch Nat King Cole's rendition. 6. Merry Christmas by Mariah Carey. Mariah Carey proves why she is ultimately amazing, when she made this holiday album. The songs include: Silent Night, All I Want For Christmas Is You, O Holy Night, Christmas (Baby Please Come Home), Miss You Most (At Christmas Time), Joy To The World, Jesus Born On This Day, Santa Claus Is Comin' To Town, Hark! The Herald Angels Sing, and Jesus What A Wonderful Child. This is one of Mariah's best records to date and "All I Want For Christmas Is You" will go down in history as a classic. If you are looking for a last minute gift, give the gift of Merry Christmas Mariah Carey. Everyone who receives this is most definitely certain to love it. 5. Christmas Spirit by Donna Summer. Disco diva and soulful soprano Donna Summer's CD is truly a force to be reckoned with. She proves that she still has it with this album, making this a definite top Christmas record. The songs include: White Christmas, The Christmas Song, O Come All Ye Faithful, Christmas Is Here, What Child Is This, Do You Hear What I Hear, Joy To The World, I'll Be Home For Christmas, Christmas Spirit, Breath Of Heaven, O Holy Night, and Lamb Of God. This Christmas CD is very much worth owning. 4. White Christmas by Bing Crosby. If you have ever watched the classic holiday movie "White Christmas" (or commonly referred to as "Holiday Inn") chances are, you have heard Bing Crosby. The songs include: Silent Night, Adeste Fideles, White Christmas, God Rest Ye Gentlemen, Faith Of Our Fathers, I'll Be Home For Christmas, Jingle Bells, Santa Claus Is Comin' To Town, Silver Bells, It's Beginning To Look A Lot Like Christmas, Christmas In Killarney, and Mele Kalikimaka. I'm dreaming of a white Christmas. Yes, I've heard "White Christmas" covered numerous times, but let's face it, the song belongs to Bing Crosby. This CD is a classic. 3. Christmas Album by Michael Crawford. Michael Crawford proves why he is and always will be the true Phantom of the Opera. This CD is wonderful. The songs include: The Very Best Time Of The Year, The Most Wonderful Time Of The Year, Peace Peace, Silent Night, Mary Did You Know?, A Journey To Bethlehem (Christmas medley), O Holy Night, Scarlett Ribbons, Candlelight Carol, Angels We Have Heard On High, The World, and All Is Well. I have to be honest, I don't think there is anyone who can cover "O Holy Night" as good as Mr. Crawford. Looking for a last minute gift or just a great CD to listen to overall? This is it! 2. Christmas Songs by Elvis. If you don't own this Christmas CD, you really are missing out on a great album. Brought to by the King himself, Mr. Elvis Presley, this holiday inspired album is the best Christmas Album to date. The songs include: Blue Christmas, Silent Night, White Christmas, Santa Claus Is Back In Town, I'll Be Home For Christmas, If Everyday Was Like Christmas, Here Comes Santa Claus, O Little Town Of Bethlehem, Santa Bring My Baby Back To Me, and Mama Like The Roses. I absolutely love all of the songs, however; if I had to choose my favorite, I would definitely choose "Santa Bring My Baby Back To Me" followed by "Blue Christmas". Whether as a gift to yourself or that music lover who appreciates great tunes, this is it. One of the most popular animal prints in the world is definitely the zebra. This print is not only incredibly chic, it's addicting in a sense because it replicates a trend that is used in virtually everything. As a zebra print lover myself, I can honestly say that I have almost everything in the popular print. So, what are 10 gifts for zebra print lovers? 10. Cupcake Studio Baking Activity Kit. This kit is a lot of fun and includes: a frosting pen, decorating sugars, zebra print cupcake papers, and a safari baking map that gives you so many different ideas. You will also receive an all-natural chocolate and vanilla mix along with frosting. Whether you are looking to channel your inner cupcake master skills or simply looking to give this to someone who will, whoever receives this gift will not only love it, but appreciate it too. Great for all ages, you can grab this at Chocolate.org for only $17.50 today. 9. Wallpops 'Zebra' Wall Art. This amazing Wallpops addition includes three 18 1/2"W x 26 3/4"H sheets which are not only 100% Vinyl, but both spot clean and residue-free. They are also repositionable and reusable, making application quite easy. What is better than that? Available at Nordstrom for $56, this makes an incredible gift for the zebra print fanatic in your life. 8. Woodland Importants New Metal Zebra Lamp. When it comes to any kind of decor, some of the best gifts are those little gems that you can't find just anywhere. When it comes to this lamp, you aren't going to find this in just any store. Made balanced metallic base structure, tis exclusive piece is great for every table. You can find this lamp at HandHelditems for $99. 7. Safari Zebra Car Set. What I love about this set is that you get 15 pieces that work for virtually every SUV under the sun. You get a set of zebra print animal print seat covers, which include one for the front and one for the back. That is four total. You also get a rear bench seat cover, a steering wheel cover, along with two seat belt pads, two front carpet mats, and two rear mats. Available at Buy.com for only $46.99, this set is perfect for not only a car enthusiast, but zebra print one too. 6. Bathroom Shower Curtain. The holidays are truly the most wonderful time of the year. What is better than being surrounded by family and other loved ones? Aside from the joy, the music, and the food, another thing to admire is gift giving. One of the greatest gifts of 2014 is definitely a zebra print shower curtain and every single enthusiast who receives this will love you for getting it for them. You can purchase this shower curtain at Buy.com for $21.99. 5. Jonathan Adler 'Zebra' Porcelain Stacking Dish. Can you believe the holidays are approaching us? Available at Nordstrom for $24, this Light Blue, zebra print addition is as unique as the individual that loves and appreciates it. If you are searching for a great zebra print gift, this is definitely the one. 4. Embroidered Beach Towel. What do you get when you combine an oversized towel with zebra print? Not only do you get to choose the color you want, you can also get this amazing zebra print addition personalized. For $49.95, this extremely versatile towel is definitely a must-have and one of the best gifts you can give this holiday season. 3. Hamilton Beach Slow Cooker. What is better than cooking this holiday season? If you're anything like me, the holidays are simply not complete without the joy, the happiness, the laughter, and of course, the food. Available at Buy.com for only $19.38, this will make any zebra print enthusiast's holiday better in more ways than one. 2. 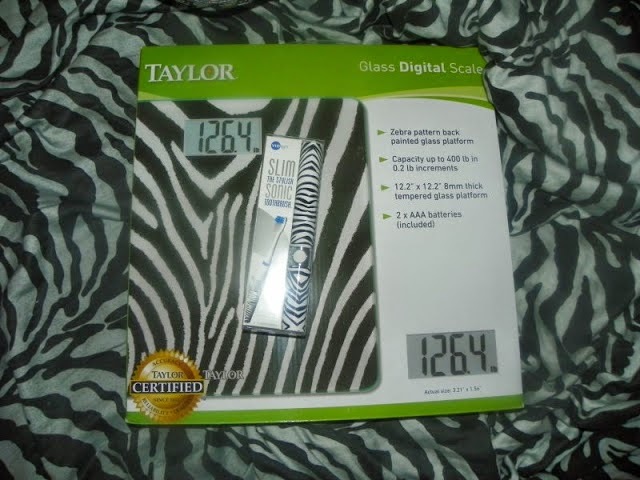 Taylor Glass Digital Scale. Are the best things in life really free or are they just zebra print? If someone asked me today "Sarah, if you were to give a great gift to someone, what would you get them?" I would say this one. Available at Dollar Days for $24.99, this is definitely one of the best gifts you can give to the zebra print lover in your life. 1. Pursonic Dual Handle Rechargeable Toothbrush. If you can think of one thing everyone in the world needs, what would it be? Definitely the toothbrush. With a one year warranty available, this toothbrush not only includes so many features. It is the gadget to end all gadgets. You can grab this amazing zebra print addition at Best Buy or your nearest retailer for $99.99. Looking for the ultimate gift? This is definitely it. Rehtaeh Parsons is a beautiful 17 year old girl from Dartmouth, Nova Scotia, Canada who attempted suicide on April 4, 2013. The Canadian teen tried to hang herself. As her suicide attempt was not fully successful, it lead to her being life support where she spent the rest of her days in a coma. Parsons died on April 7, 2013, only three days after the attempt, as her family made the decision to switch off her life support. But the question remains; however, what made her attempt suicide to begin with? Truth be told, Parsons was ganged raped by group of savages in November of 2011. These low life losers took pictures of Parsons. The pictures ended up finding their way on the world wide web. What started as a night of drinking for the, then 15 year old Parsons, turned into a nightmare when she was gang raped in the Fall of 2011. Having barely no recollection of the event, Parsons was relentlessly harassed and bullied by many for years after because of what these vile boys did to her. The harassment was celebrated both offline and online. Trying to ignore what happened years prior, the boys who raped Parsons leaked images of her in efforts to taunt and devalue her. When Parsons discovered the images herself. So devastated and depressed over what she saw, she attempted to end her life. And a few days later lost her life as a result. The evil savages who raped Rehtaeh Parsons are: Kyle Brimicombe, Cody Allen Gosbee, Hunter Shippien and Cole Shippien. These boys should be punished accordingly and should go to prison for their crime. I don't care if they were minors. This is wrong and ignoring what they did to her is immoral and unethical. Rehtaeh Parsons deserved better. Will there ever be justice? One thing is certain, the system failed this poor girl. It is official, Kylie Jenner has branched out into the hair business. As one of the youngest sister's in the Kardashian/Jenner legacy, Kylie has teamed up with Bellami Hair to launch Kylie Hair Kouture. As one of the most highly anticipated launches for 2014, Kylie remains to be one of the most inspiring role models to young women around the world right now. "The collaboration with Kylie is ideal for Bellami", Julius Salerno said. 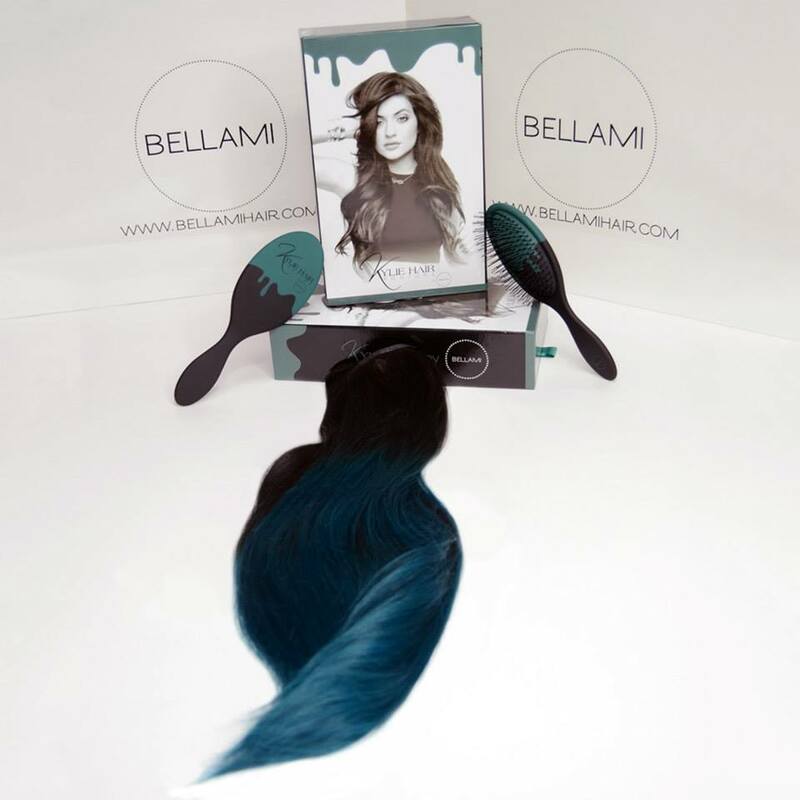 As CEO of Bellami Hair LLC., Salerno went on to say "Kylie has been extremely active in contributing to the development of Kylie Hair Kouture. It is extremely important to her that the product is able to be used by all hair types. The entire team is extremely excited for the launch." Kylie Hair Couture will feature 10 signature colors, including an amazing black to teal ombre, which Kylie is known for. Kylie loves hair extensions because they have allowed her to achieve an array of looks without the obligation to a specific style. "I wanted to create a line of clip-in hair extensions that would be versatile enough for any girl to install herself, without the commitment of permanent extensions" Kylie Jenner said about her line. When it comes to beauty and hair, Kylie is known for making a statement. In fact, she is well-known for being a trendsetter. There is nothing stopping this reality star who appears on E! reality's Keeping Up With the Kardashians from continuing the legacy. I don't know about you, but I am very excited about Kylie Hair Kouture. Emmy’s Organics is one of the best brands I have recently discovered. Emmy’s Organics is not only vegan and gluten-free, but they are free of genetically modified organisms (GMOs).